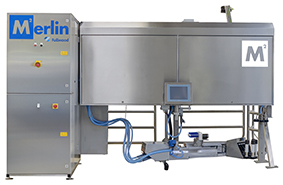 We are a well established Milking Machine, Robot Milking and Milk Cooling specialist company. MMT Services Limited is a family business operated by Andrew Bayfield and including our service engineers we employ six people. All our service engineers are fully trained by the Manufacturer and supported by extensive stocks of spare parts held in our own warehouse. Andrew deals with the sales and technical side of the business which involves site visits and sales support which includes advice on planning and purchase of dairy equipment.